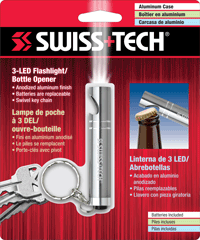 The 3 LED Pocket Flashlight Bottle Opener has an anodized aluminum finish case. Three LED bulbs provide a bright, clean light. 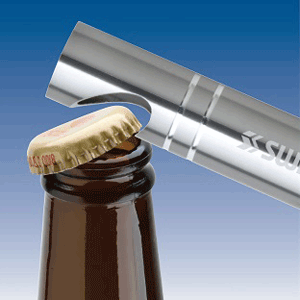 The sleek design has a built-in bottle opener and has a swivel key chain. 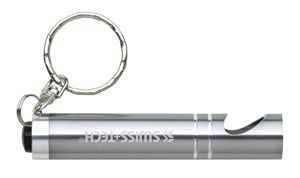 This pocket flashlight includes three LR44 batteries. 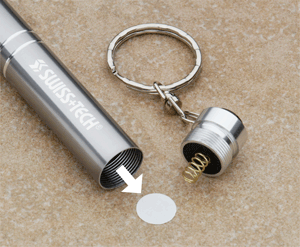 Product Size: 5.00” x 6.00” x 0.60"